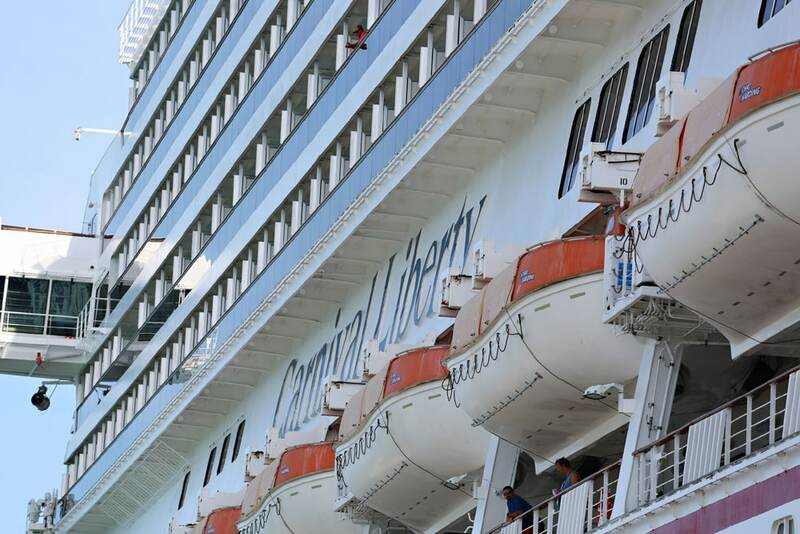 ABC13 News reports the Carnival Liberty which is operated by Miami based Carnival Cruise Line briefly returned to its homeport in Galveston, Texas after a 3-year-old child was injured. According to the site a young girl was posing for a photo with her family on a flight of stairs. The girl then slipped through one of the railings and fell from deck 14 to deck 12. The child was injured and taken to the ship’s medical center. Onboard medical staff decided to transfer the girl to a land Hospital for further medical care. As a result the Carnival Liberty returned back to Galveston, Texas at around 8 PM on Monday. The ship was met by an ambulance. Carnival has said the child was alert and stable. Carnival Liberty is 110,000 gross ton ship which can carry 2,970 passengers at double occupancy. When the young child was injured the ship had just begun a 5-night Western Caribbean sailing. The ship is scheduled to call at Cozumel and Progreso in Mexico before arriving back in Galveston on June 18. The vessel is now back at sea resuming regular service.